Having a high secure lock, on your front door or window is an inexpensive precautions. Many burglaries are committed at random by opportunist thieves. Two out of ten burglaries, are through a window that has been left open or an unsecured door. 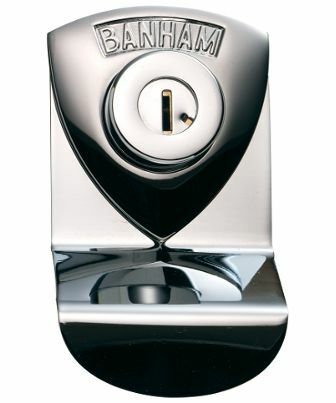 As lock suppliers Surrey amongst other leading makes we use Banham registered key locks for front doors; approved to British Standard 3621/2007 and marked with the British Standard kite mark, therefore they reach the standards of the insurance industry (this could otherwise invalidate any insurance claim). By having a registered key, nobody other than the registered key holder or their nominee(s) can obtain copies of the key. Call your lock suppliers Surrey for a quote! 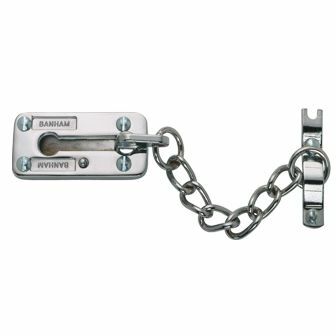 A security door chain and keeper. Cylinder and key protected by patent. 6 pin drill resistant cylinder. 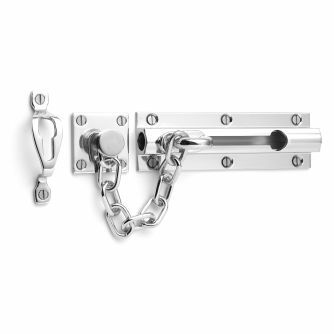 This door chain is spring loaded to prevent it being slid back when the door is partially open.